Mr. Nakajima, Your Table is Ready! 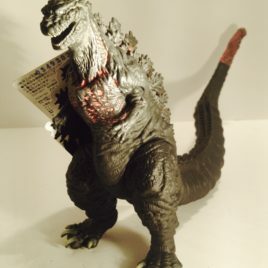 Here is the 2016 Bandai 6 inch version of Shin Godzilla. He is 12 inches from his snout to the end of his spectacular tail and what a tail! When you see the movie you will know what that tail does! He comes in Mint Condition with attached tag. 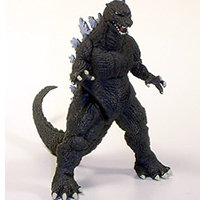 Copyright © Clawmark Toys. All rights reserved.